Series of five performances each taking on a particular characteristic of Japanese society, documented through narration and photography. Performed during a month and a half long research residency in Takasaki, Japan. 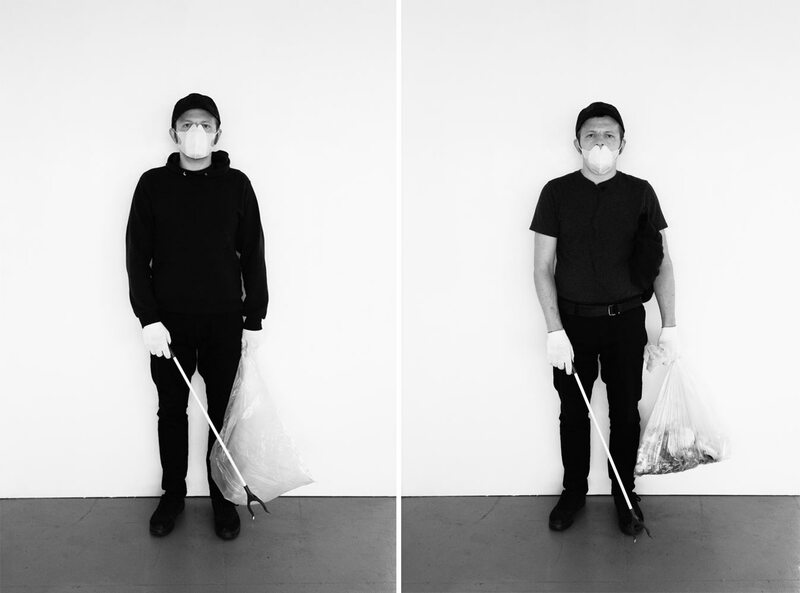 Collector – Japan is a clean country due to the understanding that each citizen takes personal responsibility for their trash. For two hours I collected garbage, walking from my apartment to the center of town and back. In one direction I walked on one side of the street, returning I walked on the other. I collected a small bag worth of garbage. Watcher – Social control is enforced by glances, frowns, and in extreme cases by verbal scolding. 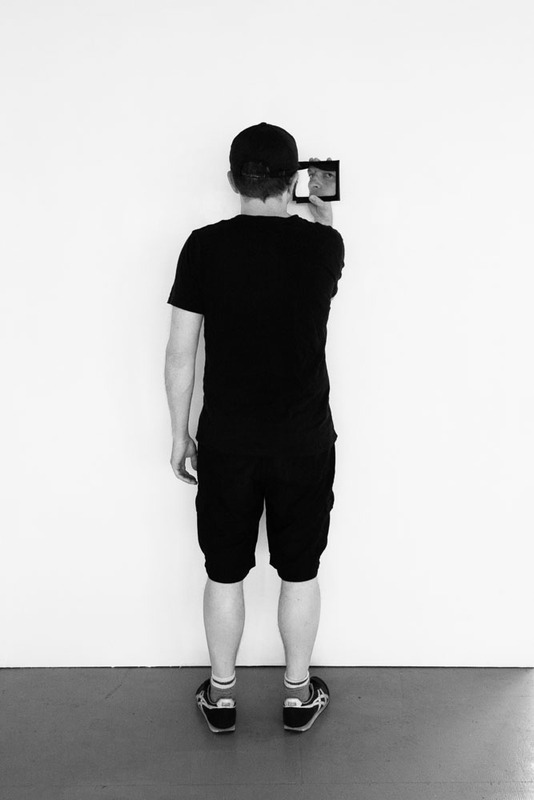 I walked around the busy central train station and using a mirror I surveilled the public. I made note of everyone that was doing something wrong or out of the ordinary. By doing the action I myself became a person deviating from the norm. 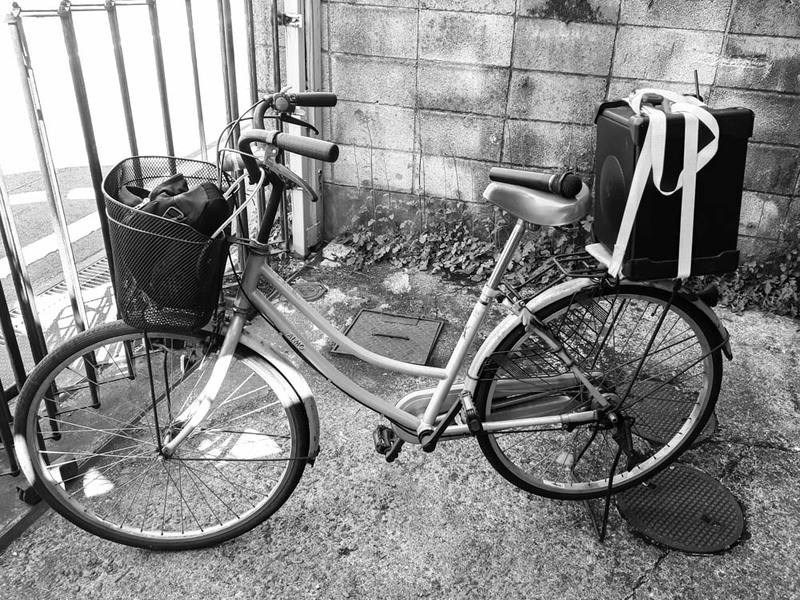 Singer – I strapped a portable speaker on a bike and cycled around Takasaki singing. The song was always changing being improvised in response to the location and public. Most people responded positively. Eater – Japanese food is often beautifully prepared and presented, sushi being the best example. I bought a selection of sushi and sitting at a public table I smashed all the food together creating messy balls. I ate with my hands, getting food and sauces all over my hands and face. 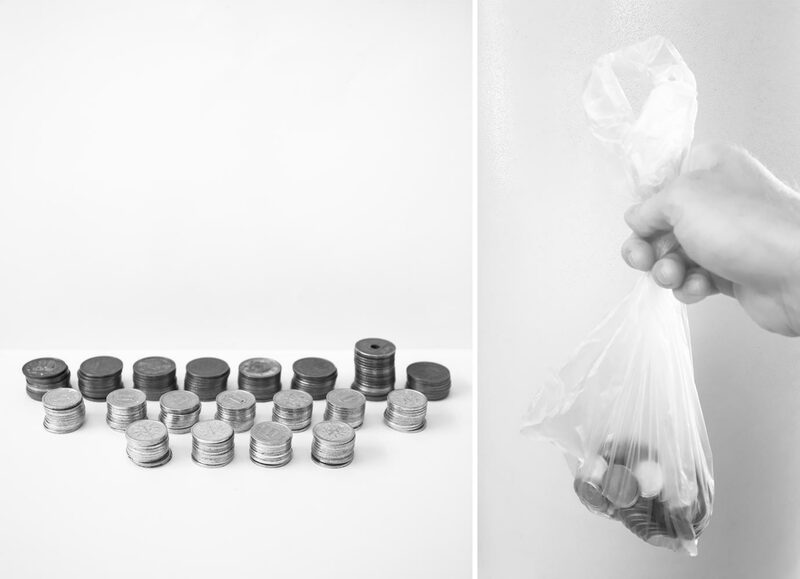 Leaver – Over the course of the residency I collected 890¥ (7€) worth of small change. For the final performance I left small piles of coins around the train station, I did this at a busy time, making sure no one noticed what I was doing.